Palmer’s original brewery since 2011 and Veteran-Owned. Raised in Alaska and Germany, Co-founder and Head Brewer Stephen Gerteisen has over 15 years of brewing experience and is a graduate of the U.C. Davis Master Brewers program. In addition to a BA in Biology and service in the United States Air Force, he is a proud member of the Institute of Brewing & Distilling (IBD) which required passing of rigorous exams. Full of passion and expertise, he brings the science and the soul to every barrel. Raised in the San Francisco Bay Area and living in Germany many years, Co-founder, Creative Director and wife June Gerteisen has a Masters degree in art, is an apprentice BJCP judge, and is a Cicerone Certified Beer Server. She brings the art and the heart to every glass and to every bottle with her award-winning logo and bottle designs.  Together with their team, they strive to bring you the utmost in craft beer innovation, variety, consistency and quality.